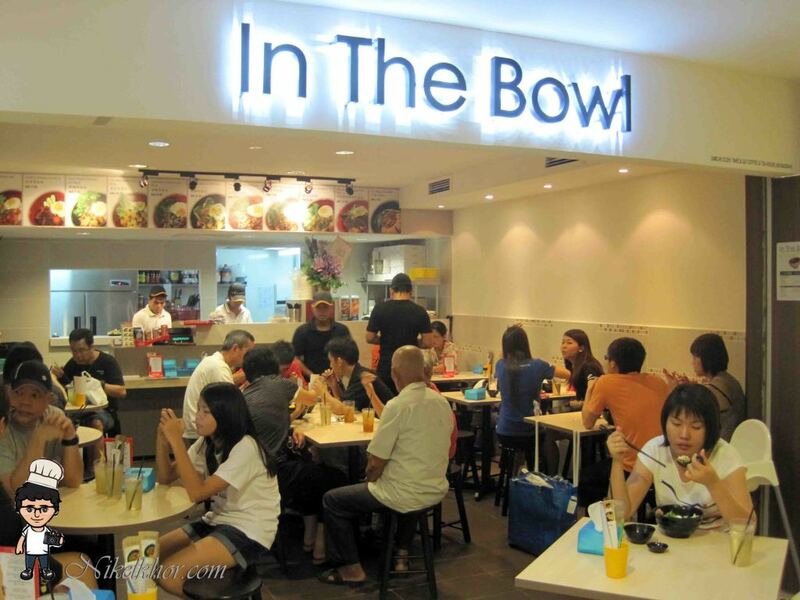 A newly opened "In The Bowl" which served very good Chinese rice and noodle dishes. This evening when I was there for my routine grocery shopping, I saw a very huge crowd inside the area indicated that was "full house". Although I had to wait awhile just for a seat, but I decide to give it a try at least once. 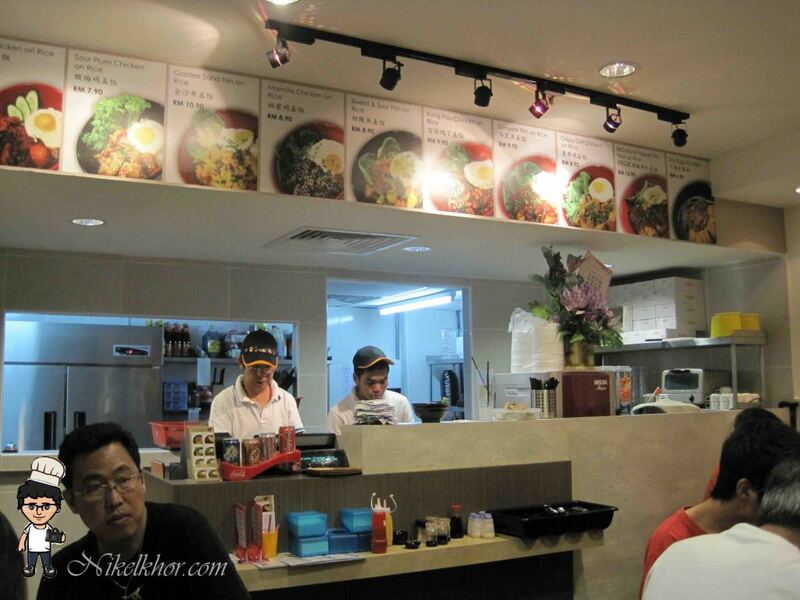 Nevertheless the food served was kinda slow, but they are very responsive to all customers request and orders. They are still new, I think should give them more times to get themselves ready to handling huge crowd in once. To me, good food is worth to wait for. come with a Honey Green Tea drinks, down-sized Mango Salad and a fish ball soup. The Kam Heong squid is nice, the squid after deep-fried, stir fried with their secret recipe sauce, with a hint of lemon leave and curry leaves. The portion of the squid is very decent, and the gravy enough for me to finish a big bowl of rice! 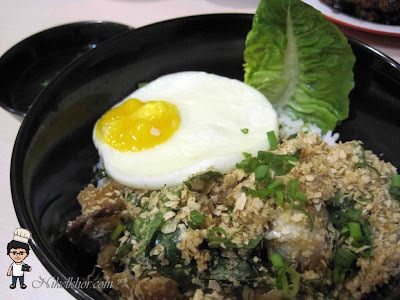 Most of their rices served with a sunny egg, this crispy oat fish on rice is not excepted too. The fish slices are coated with oat, provides extra crunchiness and fragrance. Maybe you are wondering the oat fish is so normal at those kopitiam and restaurant, but I just like their idea to put all the things in a bowl. They are selling some street snacks too, crispy chicken skin is one of them. The underneath fat was removed before deep frying, so it is more crunchy and less oily. I can't simply say this is healthy, but at least, they tried their best to reduce the harm. @smallkucing Its best of the best.. Yummy! 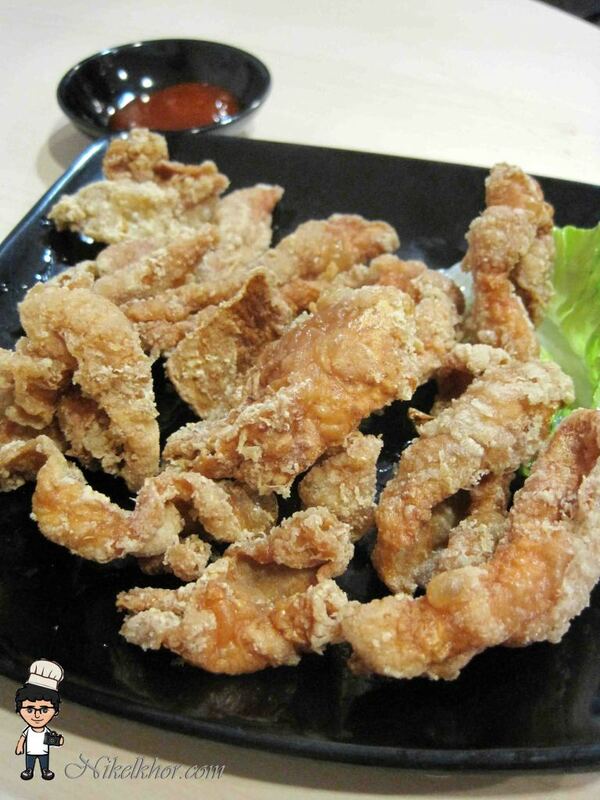 fried chicken skin, so sinful~~~ but I like it! 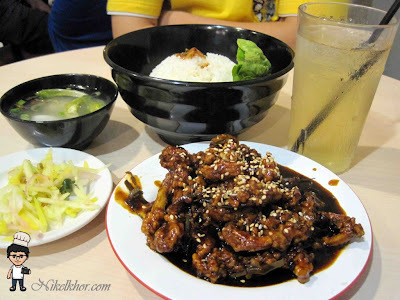 @missyblurkit Crispy and crunchy.. miss it! @june Yes.. sure you do..
Price quite ok with the kinda big portion. @cheryl Of course.. QUite nice d..